Established in 2010, Blue Penguins is the leading the way in the telecommunications sector, and offers call handling services for every business to a diverse range of customers. Blue Penguins is based in Moston area of Manchester. Blue Penguins offers a range telephones services from a simple divert to a multiple destination hunt service. 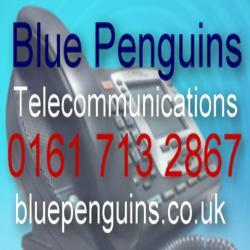 Blue Penguins offers fax to email service, and a virtual basic switchboard telephone service. Blue Penguins has generous number of telephone numbers available, ranges from freephone, national and local rate numbers. Blue Penguins also offer over six hundred local geographic numbers available, and porting your existing is a available with a small one off porting charge.